Comment: The metal leg is bent. Comment: I would like to get an estimate for getting sub flooring repaired in bathrooms. I have 2 bathrooms. Comment: I would like to get an estimate for A small window above my entry door is leaking. Comment: I would like to get an estimate for replacing sub floor. Comment: At least three windows leak when it rains hard. Also, a small window above my front door shows bulged-out material within the double glass panes, in the inside edges. In addition, I notice that event when its not too cold outside there's a draft next many of the windows, as if the insulation is working properly. It could be that they need to be recaulked. I would like to fix these problems. Comment: The main floor and dinning room will need crown molding. Comment: Sand and finish stairs and change balusters to metal. Frederick Carpenters are rated 4.83 out of 5 based on 687 reviews of 33 pros. 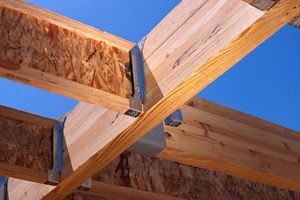 Not Looking for Carpenters Contractors in Frederick, MD?